It’s hard to believe that NGirl Design has now been in business for 10 years. The name NGirl started from a cartoon character that a friend of mine use to draw of me. 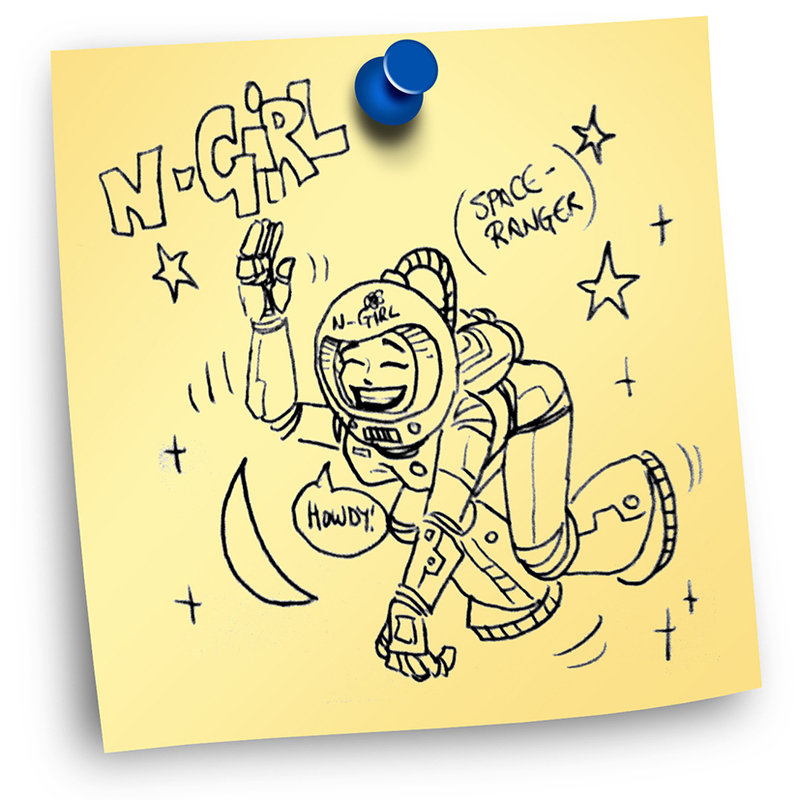 We became friends at work and every morning I use to walk up to my computer monitor and find a new cartoon of NGirl on a classic yellow post it note.